Learn how to beat Lord of Lightning in Super Mario Odyssey. This guide provides a few strategies that you can use to defeat him during the first battle. 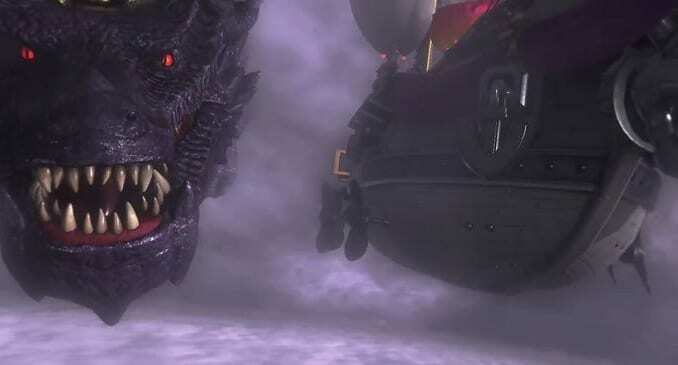 Lord of Lightning is a dragon boss in Super Mario Odyssey. It is fought in the ominous Ruined Kingdom. 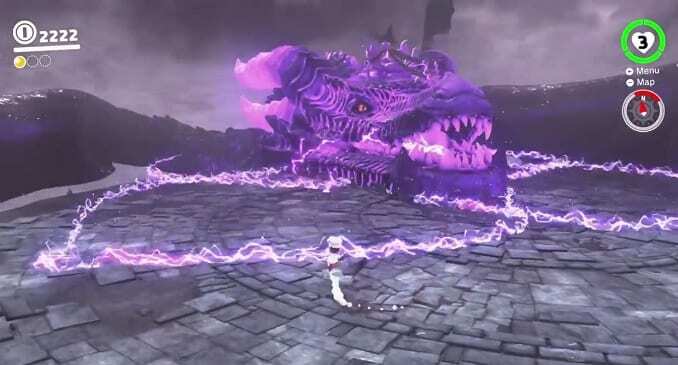 Super Mario Odyssey Lord of Lightning aka the Ruined Dragon is a massive dragon with dark purple covering and lavender horns protruding on both sides of the head. Unlike other dragons in the game, its appearance is more realistic. It serves as the Ruined Kingdom’s guardian. When the battle starts, keep a close watch for the purple cursor on the ground as this signals the locations where Lord of Lightning is pointing at. 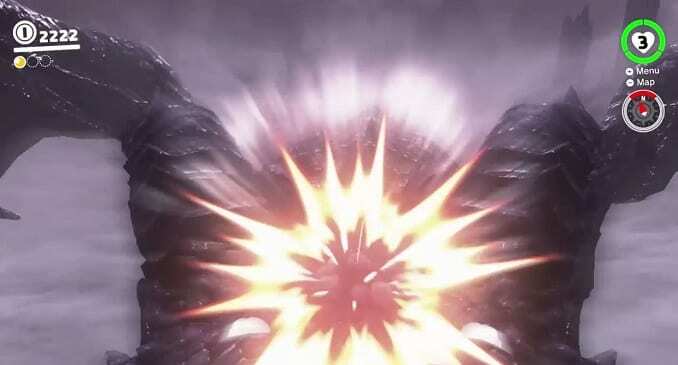 It fires dark fireballs from its gaping mouth which splits into 3 discs. Evade the path of the discs by dodging sideways, preferably hugging the right section of the boss area. 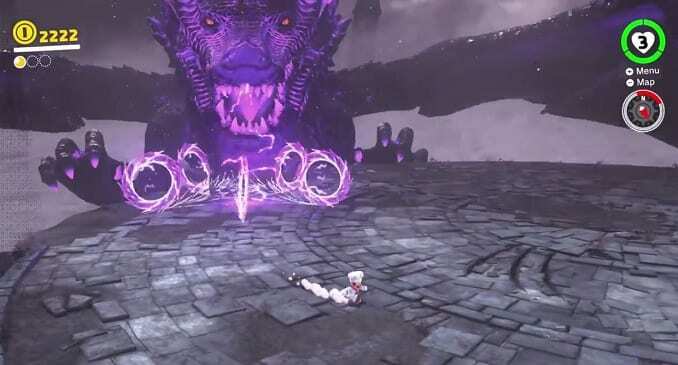 After a while, the boss will place its cranium onto the platform to unleash purple shock waves. Make sure to leap across them repeatedly to dodge while slowly moving close. 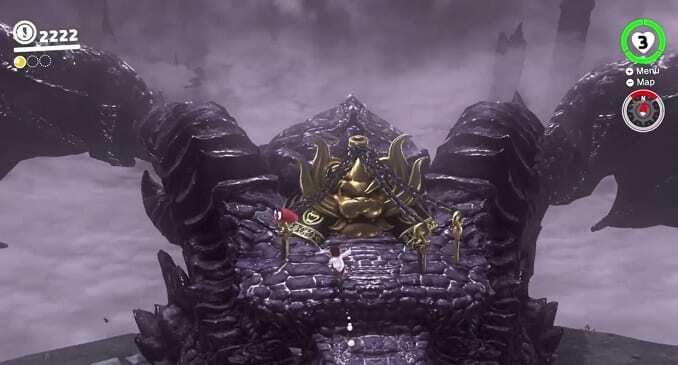 Once the hazards fade, ascend the head and remove the swords using Cappy to break the seal. Quickly ground pound the exposed forehead to deal damage before it starts emitting currents. In case Mario needs to restore his health back, there are several cracks scattered across the platform to ground pound to retrieve some hearts. Once it sustains damage, the boss starts to launch more bolts that split into discs. Dodge these again until the boss resumes to summon lightning shock waves again. Keep jumping while slowly creeping up to it, then immediately remove the next stack of swords. Unleash another ground pound on its exposes forehead. The last phase is more tough than the previous ones as the boss summons discs that travel in all four directions. Stay distant and observe the trajectory to avoid taking damage. Like before, it will rest its cranium on the platform to send more jolts of electricity so be sure to scout for safe pockets to jump in. Deploy Cappy to float longer. When the waves fade, make haste to reach its cranium and take out a bigger set of swords. Since the number for the 3rd phase is higher, it may require Mario to go through another round of dodging one last time before dealing the last ground pound to secure the victory.